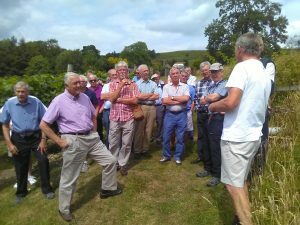 Several mem­bers of Stumperlowe Probus Club have more than a passing interest in wine, includ­ing at least two who are share­hold­ers in a commercial-size French vine­yard, but they learnt much about the trials and tribu­la­tions of smal­ler scale pro­duc­tion on a Peak District hill­side 950 feet above sea level. 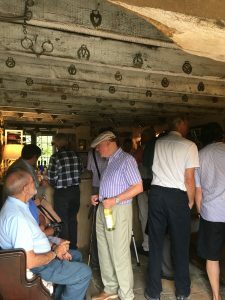 A party of 26 club mem­bers enjoyed lunch at a local hostelry before pro­gress­ing to the farm on the out­skirts of Hathersage for a tour of the vines fol­lowed by a tast­ing and buying oppor­tun­ity. 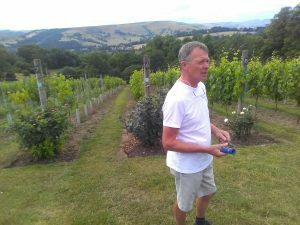 Michael Bailey, the pro­pri­etor of Carr Head Farm with his wife Mary, planted the first of his 1,700 vines on a one and a half acre, south west facing slope in 2014, so the ven­ture is still in its early stages. 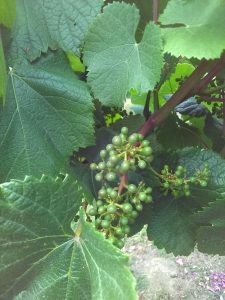 It was largely a retire­ment pro­ject; it is very labour intens­ive and he admits that a vine­yard of that size will never become a highly prof­it­able busi­ness. 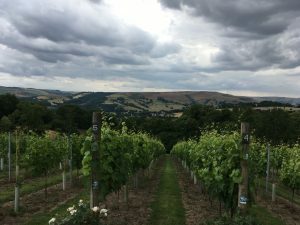 Michael was an engin­eer by pro­fes­sion, and his career change began when he took a course at Plumpton College, the UK’s centre of excel­lence for wine which, as well as teach­ing the skills of viniculture, has its own vine­yards in East Sussex stretch­ing to 25 acres pro­du­cing 40,000 bottles of award-winning still and spark­ling wines each year. 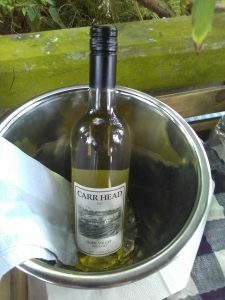 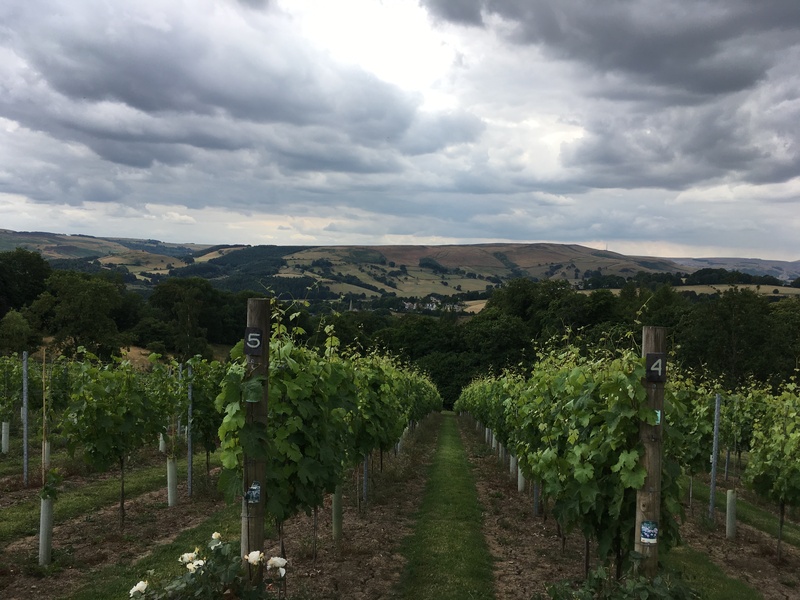 The sev­eral vari­et­ies of grapes pro­duced each year go to make the white, spark­ling rosé and still rosé offered by Carr Head, although there is no winery on site at Hathersage and the grapes are sent away to be pro­duced by the Halfpenny Green vine­yard at Bobbington, Staffordshire.